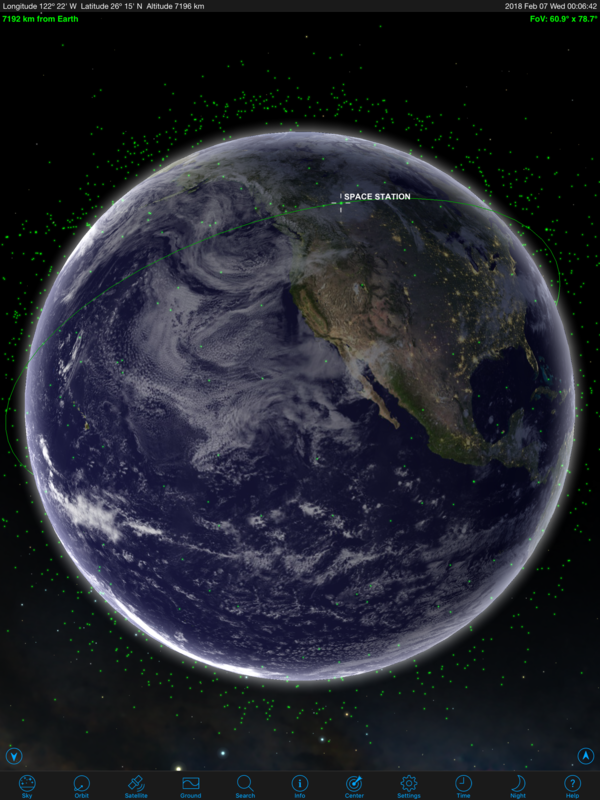 By default, the Orbit view only shows a single satellite is shown. To see more than one satellite, turn on the Show All Satellites option in the Settings. When this is turned on, you can tap a different satellite in the view to select it. The Earth’s night side is shaded; as time flows, the shaded part of the globe changes as the Earth turns. You can turn off shading with the Show Day and Night option in the Settings. You can also show cities on the globe, and atmosphere (clouds) by turning on these options in the Settings as well.